An exquisite piece of architectural art by designer Neil Poulton produced in plaster 100% mineral plaster by Atelier Sedap of France. This product is stunning in its designer and manufacture and looks stunning in situ. 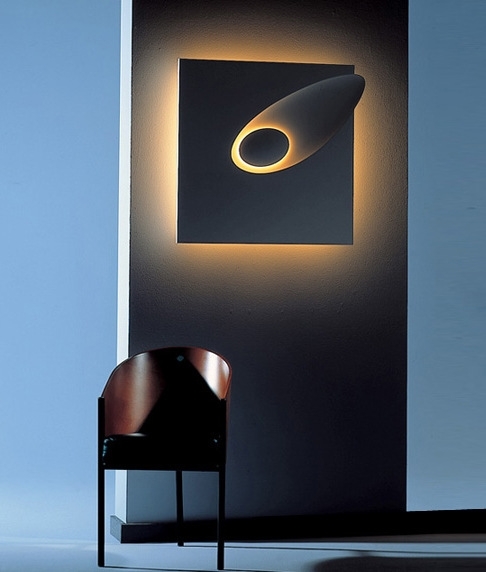 The use of a round 55w fluorescent lamp running on high frequency flicker-free control gear creates a stunning lighting effect casting a warm glow around the centre section and the wall surrounding the piece. Stunning as a light or as a stand alone art piece. Take two or more, add in some rotational symmetry and you reach a whole new level. 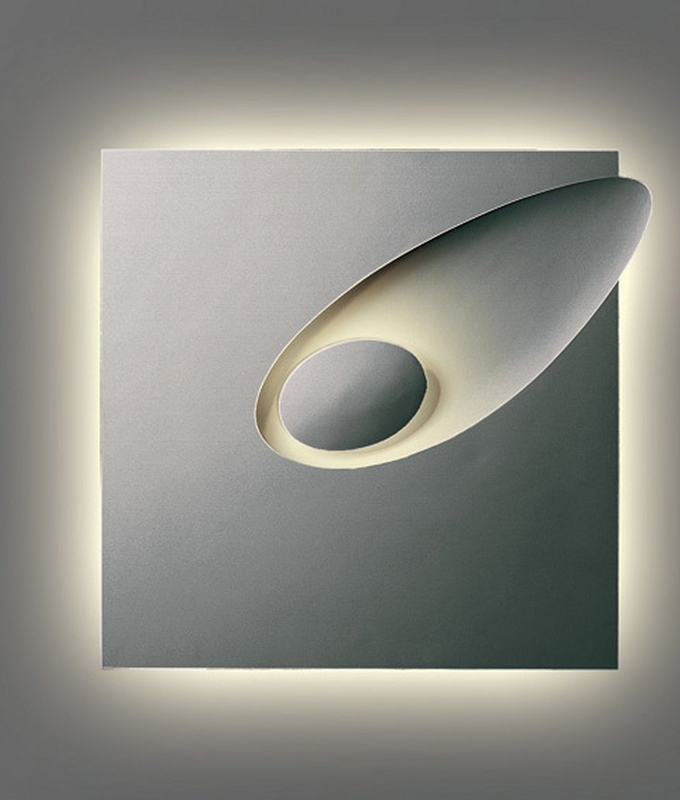 This wall light is offered here in a natural plaster and a white acrylic paint finish. Other colours are available (see swatch). 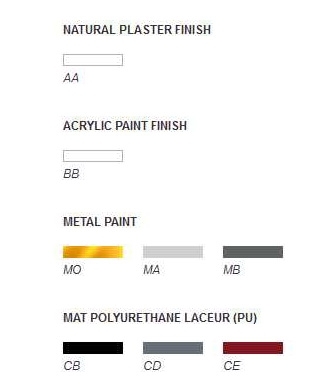 If you wish to order one of these special paint colours please call the sales office for further information, prices and availability. 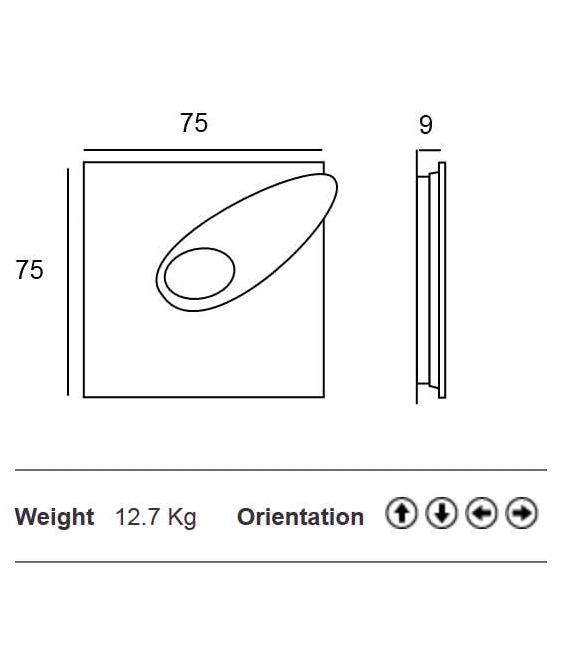 Available with either natural plaster finish or white painted finish - see variations below. Can this particular plaster light be painted? Yes indeed it can be painted, we would recommend a matt or eggshell emulsion.